Hi everyone, are you ready to see a cute cat card right meow?! 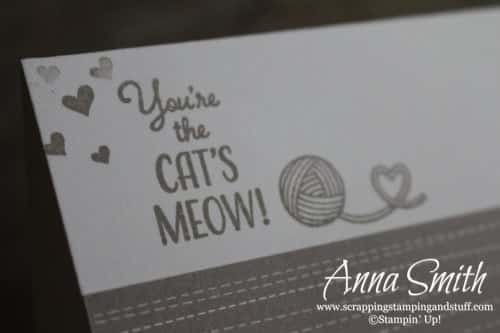 Today’s project is a #simplestamping quick project made with the Stampin’ Up! 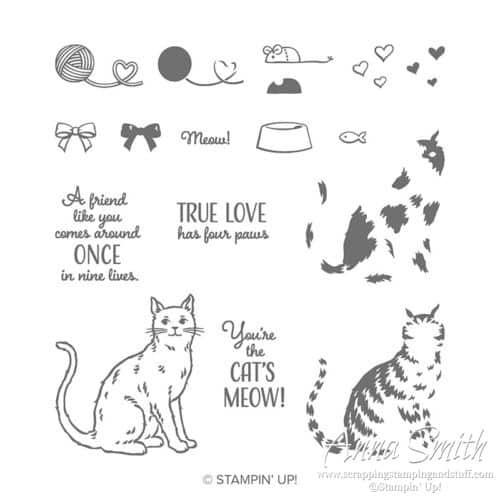 Nine Lives stamp set and matching cat punch. Here it is! Isn’t this cute? 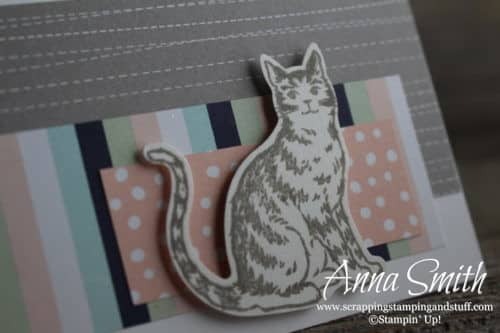 Below you can see the adorable stamps that come included in the Nine Lives set. I had a hard time deciding which ones to use, because I wanted them all! …and the greeting, hearts, and yarn. The paper I used is from the Twinkle Twinkle designer paper pack. 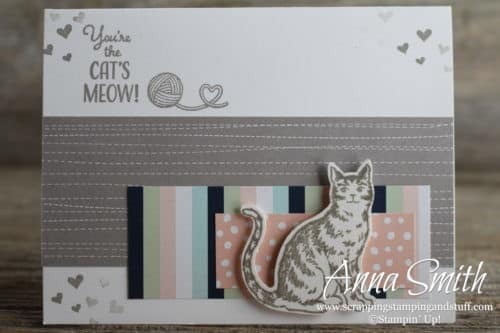 I thought it paired nicely with the cute little feline! 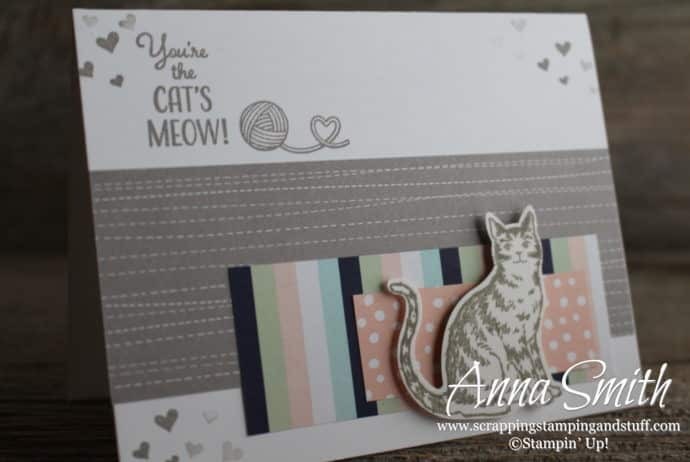 Please make me your Stampin’ Up! demonstrator! Please use hostess code WKM7TJFA when you order. 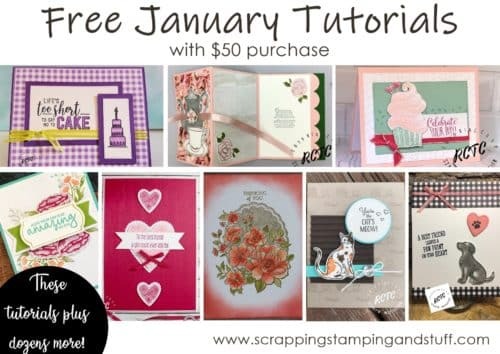 With an order of $50+, you’ll receive Sale-a-bration benefits PLUS a link to access dozens of free stamping tutorials! 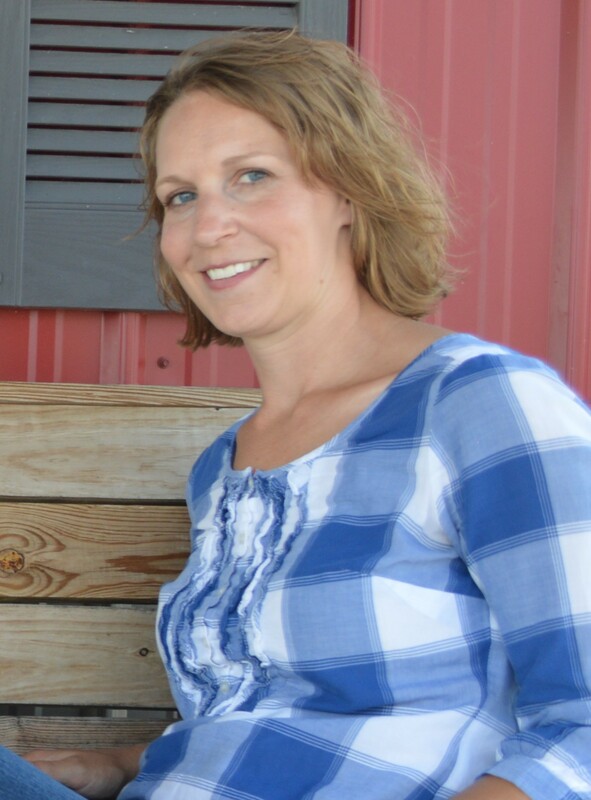 See photo below! 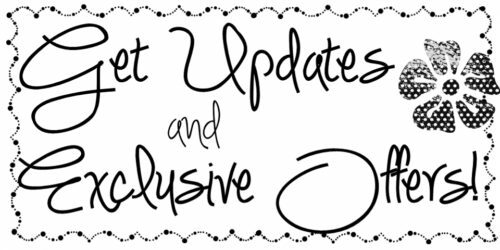 Earn these items free during Sale-a-bration! 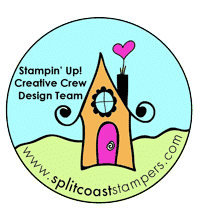 Keep track of your Stampin’ Rewards and earn free stamps from me! 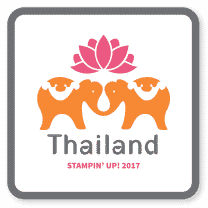 When you order $150 or more, you’ll earn hostess credit through Stampin’ Up! 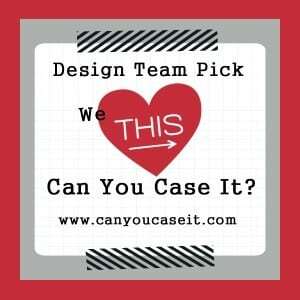 Use the links below to order and make this project yourself!